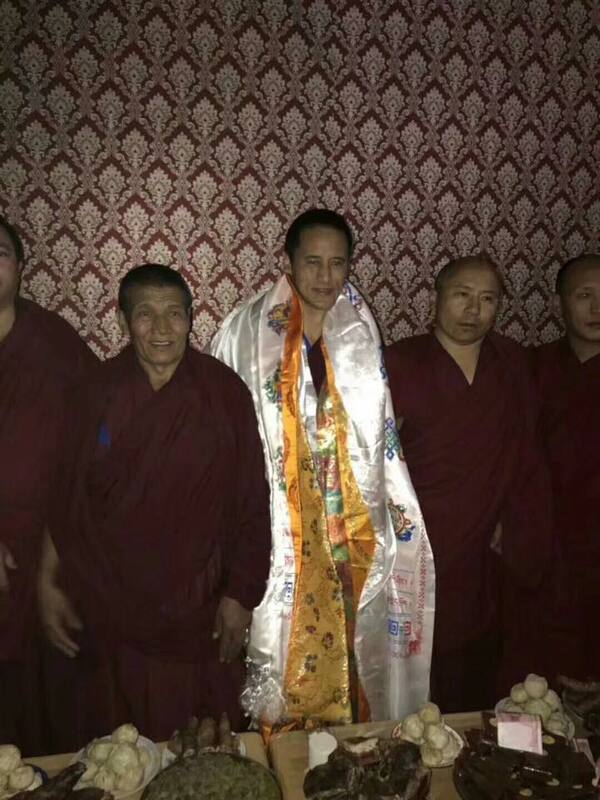 A Tibetan monk imprisoned for his direct and plainspoken writings on issues that are considered sensitive by the Chinese authorities was released last Sunday in Tsekhog (Ch: Zeku) County in Malho (Ch: Huangnan) Tibetan Autonomous Prefecture, Qinghai Province, in the Tibetan province of Amdo. 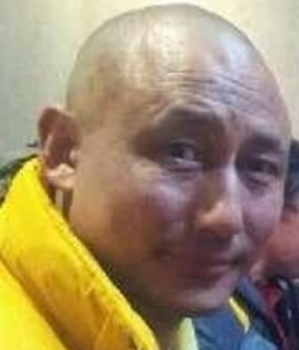 Gartse Jigme, 42, was released on the evening of 4 February after serving more than five years in prison for allegedly ‘inciting separatism’ through his writings most of which contained his straightforward opinions on wide ranging subjects and issues including the Dalai Lama, Panchen Lama, self-immolation, rights of Tibetans, environment and minority issues. Gartse Jigme has since returned to his home in Siling (Ch: Xining). A source with contacts in Tibet told TCHRD that post release, Gartse Jigme has been put under close surveillance. Five officials from Dokarmo Township and Tsekhog County have been assigned to monitor his movement and activities. He has been barred from joining his monastery or engaging in political activities including giving public talks for a year. Local authorities have also issued strict orders against sharing Gartse Jigme’s photos on online platforms. 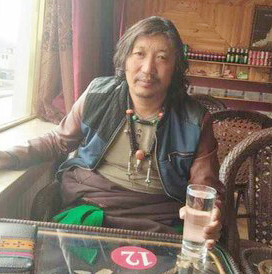 To avoid crowds of local Tibetans welcoming Gartse Jigme on his release, Chinese authorities delayed the writer’s arrival in his home village by stretching the prison release formalities such as signing the undertaking letters. He was finally allowed to leave the prison at around 7 pm. A group of Tibetans from the writer’s home village had waited outside the prison since early morning to welcome him. While accompanying the writer on his way home, the group was not allowed to take the direct route from Tsekhog County to Siling, but had to take the longer route from Trika County. Details are not immediately available on Gartse Jigme’s health due to communication clampdown and online censorship. It seems Gartse Jigme has been sentenced to ‘deprivation of political rights’ for one year in addition to his fixed term imprisonment of five years. Under Chinese law, all political prisoners convicted of state security crimes are required to serve a supplementary sentence of ‘deprivation of political rights’ that is typically imposed for one to five years. The sentence of ‘deprivation of political rights’ allows the authorities to impose wide-ranging restrictions on a released political prisoner without any accountability or oversight. The reason behind Gartse Jigme’s delayed release remains unknown. He should have been released by 31 December 2017. He was detained from his residence at Gartse Monastery on 1 January 2013 by a group of officers from Malho Prefecture State Security Bureau and Gartse Township Public Security Bureau. The officers ransacked the writer’s monastic quarter and searched through his belongings including his electronic devices such as laptop and phone. 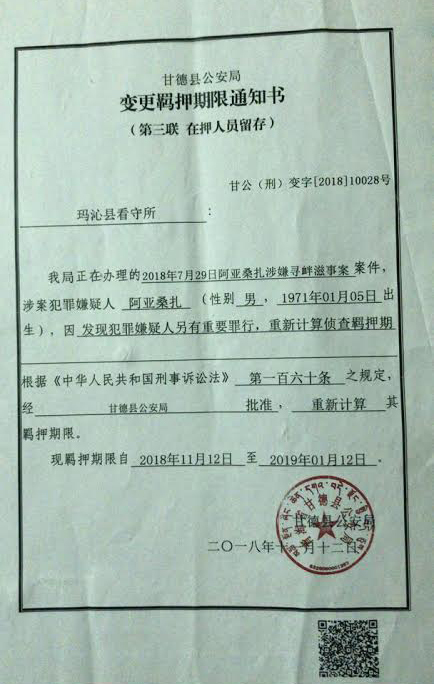 After holding him in secret detention for months in Siling city and in Rebkong (Ch: Tongren) County, he was sentenced on 14 May 2013 to five years in prison. While TCHRD welcomes Gartse Jigme’s delayed release, he should never have been imprisoned in the first place. It is highly deplorable that Chinese authorities continue to persecute and imprison many Tibetans like Gartse Jigme who are solely punished for exercising their human rights. Gartse Jigme was imprisoned for peacefully expressing his views and opinions on important issues that are mainly responsible for the current human rights crisis in Tibet. Like many other Tibetan activists and human rights defenders, he held a mirror to the inhumane and ruthless acts of the Chinese authorities and called for human rights and self-determination to be granted to the Tibetans. 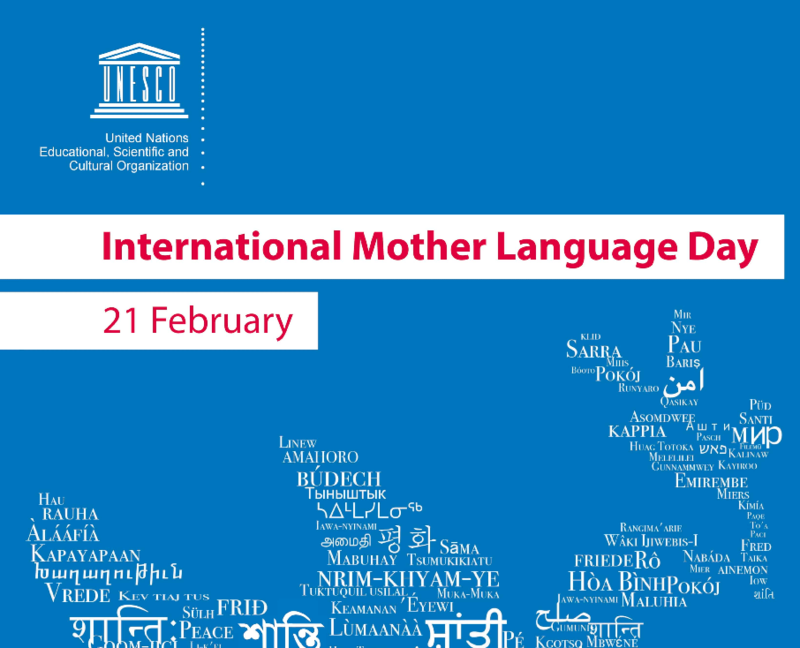 The right to freedom of expression and opinion is guaranteed in both Chinese Constitution and international human rights law. By imprisoning Gartse Jigme, Chinese authorities once again demonstrated that its claim to promote governance by rule of law is nothing but another deceptive ploy to use law as a tool to crush peaceful dissent and criticism against its repressive policies. Gartse Jigme was born in 1976 in Garwa nomadic village of Gartse Township in Rebkong County. After finishing his primary and middle school, he joined Gartse Monastery and completed his Buddhist dialectical studies in 1995. He had been writing since 1999 and had won several local literary prizes. His first book, ‘Musings on My Reflections’ received favorable reviews from friends and others in the community. He is also a Buddhist scholar having studied and successfully passed major Buddhist courses at his monastery in 2003.